Explosive Australian batsman Chris Lynn and South Africa legspinner Imran Tahir were the top picks of the player draft for the third season of the Pakistan Super League on Sunday (November 12). While Lahore Qalandars and Multan Sultans picked their top players in the first round, it was Islamabad United along with Lahore that finished looking menacing, on paper at least, given the depth of their squads. Lahore snapping up Lynn meant the potentiality of a destructive opening pair for the franchise of Brendon McCullum and Lynn. They don't just have the top set, but the bottom half too with arguably the best T20 bowlers in Sunil Narine and Mustafizur Rahman, who they picked on Sunday. All-rounder Mitchell McClenaghan, who opted for the T20 route, joins the squad as their supplementary player with Angelo Mathews. Luke Ronchi, the New Zealand wicketkeeper-batsman, who had retired from international cricket earlier in the year, was snapped up by Islamabad United, who have all bases as good as covered. They have a robust middle order boasting of the likes of JP Duminy and Misbah-ul-Haq supported by strong hitters to follow where Faheem Ashraf and Andre Russell slot in. Shadab Khan has proven his mettle in the shorter formats while Mohammad Sami will be the leader of their attack. All they really needed was a solid opener to partner with Ronchi at the top, and they picked Sam Billings, who can bat at the top of the order. In the eventuality of them requiring a back-up, they have more than an able one in Alex Hales. Multan Sultans, the latest entrants, were seeking a spinner who would slot in seamlessly into the XI and given Tahir's recent record, including in the IPL earlier in the year, it was a no-brainer for them, after having snapped up Shoaib Malik, Kieron Pollard and Kumar Sangakkara as a part of the pre-draft last month. Luke Wright, who played for Quetta Gladiators in the first two seasons, will represent the Karachi Kings in the upcoming season, as will Colin Munro, but due to a question over his availability for the entire season, he was snapped up as a supplementary player. The side, however, has as many as seven front-line bowlers in the squad, which could come back to cost them eventually. Pakistan opener Ahmed Shehzad, who belonged to the Platinum Round was relegated two levels and only picked in the gold by the Sultans. Peshawar Zalmi, who announced that their side will be led by Darren Sammy, signed on Dwayne Bravo - which was their biggest signing for the draft. They also roped in Tamim Iqbal and Evin Lewis, albeit as supplementary players. Runners-up of the 2017 season, Quetta Gladiators, in addition to big-hitters like Kevin Pietersen and Rilee Rossouw present in their side, drafted in all-rounders of the caliber of Shane Watson and Carlos Brathwaite. Towards the end though, Lahore ran out of budget and couldn't partake in the fourth round of the supplementary draft, while Karachi decided to pick a player at the end of their talent hunt program, which effectively meant that they would have to pick from the emerging players' pool. Among the emerging players picked - a system through which the young Shadab Khan rose to prominence - Saad Ali stood out after being picked by Quetta after being the top-scorer in the Quaid-e-Azam trophy so far with 755 runs. Sahibzada Farhan, picked by Islamabad is also a promising prospect, having led Faisalabad to victory in the National T20 Cup with a 52-ball 76. Each team now has a squad of 20, having been given a salary cap of $1.2 million. Diamond round: Islamabad United - Luke Ronchi, Lahore Qalandars, Mustafizur Rahman, Karachi Kings - Mitchell Johnson, Quetta Gladiators - Carlos Brathwaite, Peshawar Zalmi - Tamim Iqbal, Multan Sultan - Darren Bravo. Gold round: Karachi Kings - Luke Wright, Islamabad United - Faheem Ashraf, Peshawar Zalmi - Hammad Azam, Quetta Gladiators - Rahat Ali, Lahore Qalandars - Bilal Asif, Multan Sultans - Ahmed Shehzad. Silver round 1: Lahore Qalandars - Raza Hasan, Islamabad United - Sam Billings, Peshawar Zalmi - Saad Nasim, Quetta Gladiators - Rameez Raja Jr, Karachi Kings - David Wiese, Multan Sultans - Mohammad Abbas. Silver round 2: Lahore Qalandars - Sohail Akhtar, Islamabad United - Zafar Gohar, Peshawar Zalmi - Taimoor Sultan, Quetta Gladiators - Saad Ali, Karachi Kings - Tabish Khan, Multan Sultans - Nicholas Pooran. Emerging Players Round 1: Lahore Qalandars - Shaheen Shah Afridi, Islamabad United - Sahibzada Farhan, Karachi Kings - Mohammad Irfan Jr, Quetta Gladiators - Saud Shakeel, Peshawan Zalmi - Sameen Gul, Multan Sultans - Abdullah Shafique. Emerging Players Round 2: Lahore Qalandars retain Ghulam Mudassar, Islamabad United retain Hussain Talat, Karachi Kings - Hasan Mohsin, Quetta Gladiators - Hassan Khan, Peshawar Zalmi - Ibtisam Sheikh, Multan Sultans - Saif Badar. Supplementary Rounds were for those players who were not available for the entire season. The franchises could also call upon them for those not be available, which could come into the picture if some of the players refused to travel to Pakistan. Supplementary Round 1: Lahore - Angelo Mathews, Islamabad - Alex Hales, Karachi - Colin Munro, Quetta - Jason Roy, Peshawar - Andre Fletcher, Multan - Hardus Viljoen. Supplementary Round 2: Lahore - Mitchell McClenaghan, Peshawar - Evin Lewis, Karachi - Eoin Morgan, Quetta - Rashid Khan (partially available), Islamabad - David Willey, Multan - Umar Gul. Supplementary Round 3: Lahore - Gulraiz Sadar, Islamabad- Mohammad Hasan, Karachi - Saifullah Bangash, Quetta - Muhammad Azam Khan, Peshawar - Khalid Usman and Multan - Umar Siddiq. 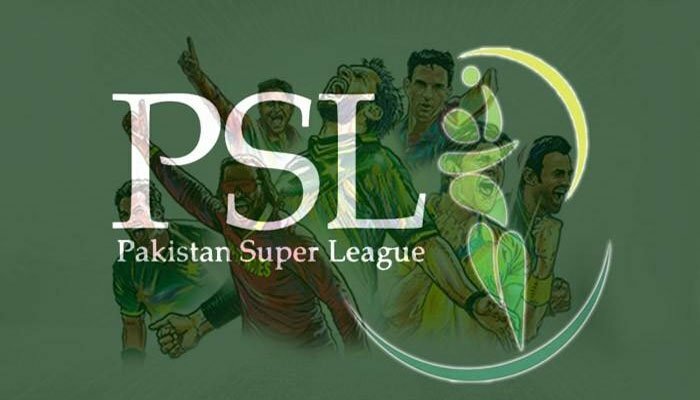 Supplementary Round 4: Lahore - no budget, Islamabad- Muhammad Hasnain, Karachi will pick at the end of their talent hunt program; will have to be from Emerging Players, Quetta - Faraz Ahmed, Peshawar - Muhammad Arif, Multan - Ross Whiteley.